I really liked the white-on-white text and the pretty flowers in diagonal corners so that's the direction I took with my card. I was inspired by Therese Calvird who used these alpha dies with craft foam on a card, so went in the same direction. After die-cutting in craft foam and white cardstock, I adhered the two together and set it aside while I worked on my card base. I wanted to play along with the White-on-White Focal Point Altenew challenge, so I chose inks matching the challenge colors and starting stamping and masking with Vintage Roses stamp set. I wanted to add some leaves but didn't want to add green, so I used a gray ink and I really like how it turned out. Once I'd finished stamping I die-cut the panel with a pierced frame die but didn't discard the outer edge, instead popping it onto the card base in an inlaid die-cut. 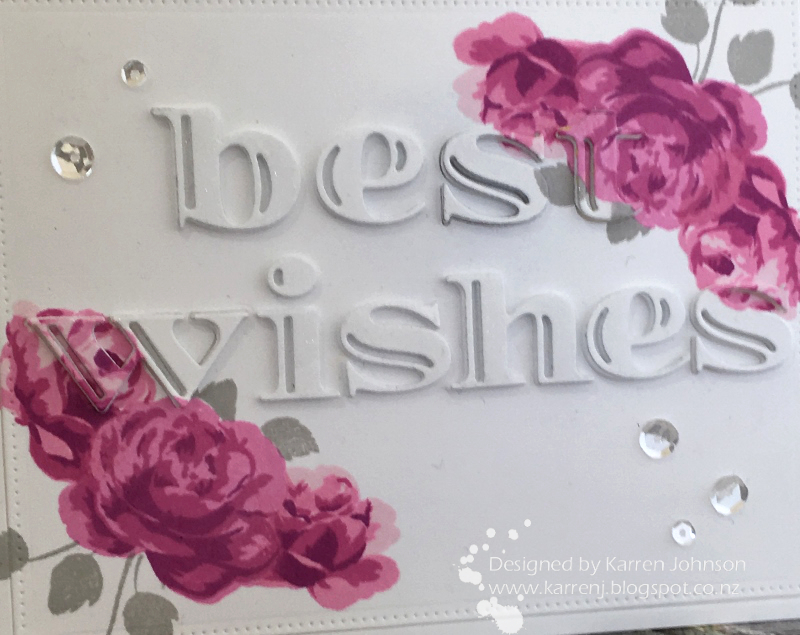 Then I realised I wanted some camouflaged die-cutting over the flowers, so I positioned my letters and then re-cut the letters that needed it from the card base. I adhered the die-cut letters on top of the already-cut letters and you'd never know there are two layers of cardstock on some of them! Finally, I finished the card with some clear sequins. Thanks so much for visiting. The design team have some marvellous cards and be sure to check out my special guest, Jen Wills, who creates the most fabulous CAS cards. LOVE this color scheme! What a gorgeous take on the photo! Ha ha! I bought these alpha dies after seeing that exact that exact card by Therese! Your take on the photo is so gorgeous and I love the grey leaves. So elegant! Thanks again so much for having me as your guest this week! Lovely take on the inspiration photo, Karren! Love the way you did this! That die is fabbo but I "think" I don't need it. Really. I don't need it! Gorgeous take on the inspiration photo...WOW! I love your color palette on the blooms, and that you chose gray for the leaves and stems...so striking! 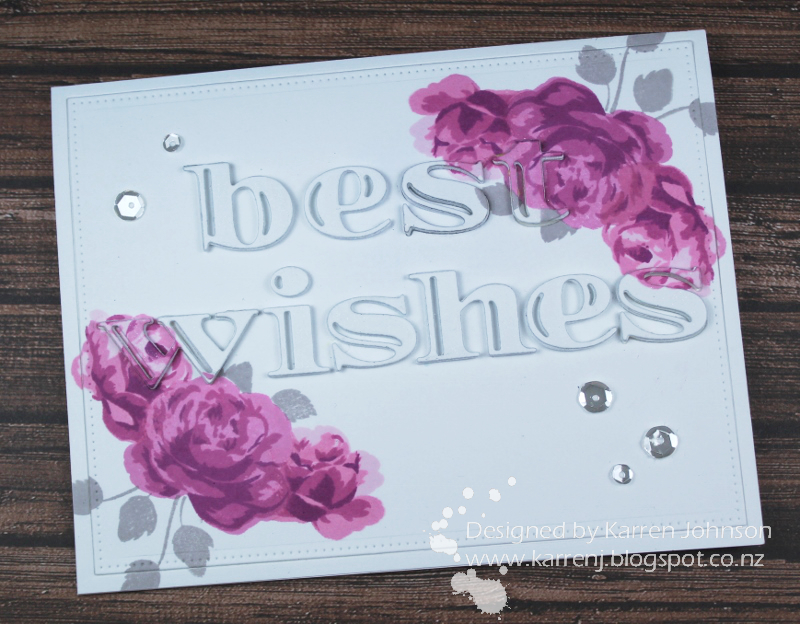 LOVE this card, Karren!!! This is just gorgeous! I love Mauve and Rose and Pink and your colors are perfect! So very pretty!! Oh my gosh, I am just swooning here. 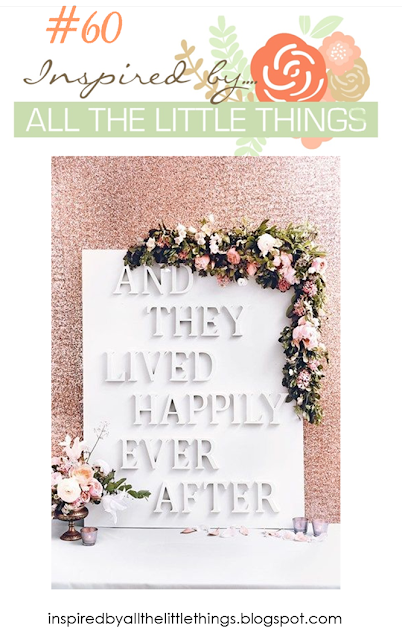 I love the flowers encroaching on the die cut sentiment.